HOD Department Of Forensic Medicine and Toxicology. On exam no pallor, cyanosis, oedema, clubbing, lymph nodes, thyroid abnormalities. Within the normal limits. 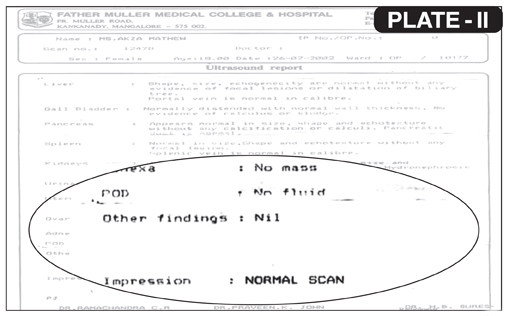 Since the patient had already brought the USG report dated 15/3/2002, and also with the clinical presentations it was diagnosed as PCOD. The mentals considered were Mild, Weepy, Indecisive, Likes company and consolations. The physical generals for prescription were stocky appearance, increased perspiration, increased thirst, craving for ice-cream, prefers spicy food but disagrees her thermally chilly. Fullness of abdomen and mainly less by spicy food. Hypertensive —> DM Sycotic PCOD, Irregular menses. 1) R: Pulsatilla 200 (4) weekly HS start. Patient had reported to the OPD. She is getting regular menses since many months. 1. In the study it is mostly the young girls in the reproductive age group are affected. 2. 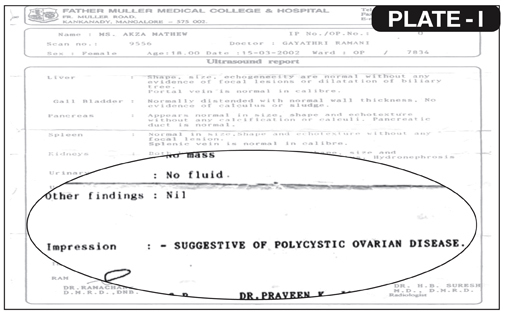 Sensitive issue in a girl’s life PCOD affects the person as a whole , as there is hormonal imbalance. 3. The importance of diet and general management like weight reduction is well understood. 4. Though acute symptoms can be taken care with help of specific, for permanent and lasting cure the constitutional and intercurrent remedies are needed.